NY Limo Crash | How Safe Is Your Limo Ride? As federal investigators work to determine what caused the horrific crash in upstate New York that killed 20 people, transportation safety experts have finally seen their worst fears realized regarding the safety of stretch limousines. For years, experts have quietly worried about regular SUVs that are essentially sawed in half, jacked up, and stretched out so as to be converted into limos that are not subject to federal safety regulations because they are not classified as new vehicles. What’s known at this time from news reports is that the limo involved in the Oct. 6 crash was a converted 2001 Ford Explorer. In September, it failed a state safety inspection in part because of a brake malfunction. In total, inspectors found six violations including a violation for “failure to correct defects noted on previous inspection report.” It previously failed two safety inspections in March. Additionally, the limo driver did not have the appropriate license to be operating the vehicle. In late August, a state trooper stopped the driver after he had driven 11 people in the same limo and cited him for operating it without a proper license. State police said the trooper advised both the driver and the limo company, Prestige Limo, that the driver could not operate the limo without additional licensure. For reasons that investigators have not yet determined, the limo barreled through a T-intersection without stopping before striking a parked car. The National Transportation Safety Board (NTSB) has reported that there were no apparent skid marks. The possibility of this type of catastrophic crash — which took the lives of 17 passengers out for a birthday celebration, the driver and two pedestrians, and which left multiple children (who were not involved in the crash) without one or both parents — has been a source of concern for the NTSB for years, NTSB chairman Robert Sumwalt said. “The after-market adjustments that they make to these cars — lengthening them, raising them — often affects the structural integrity and the safety,” he said. In addition to affecting the structural integrity of the limo, after-market adjustments can also result in crucial safety features, such as airbags and seatbelts, being eliminated. It can also add new seating configurations that undercut safety features installed by the vehicle’s manufacturer. 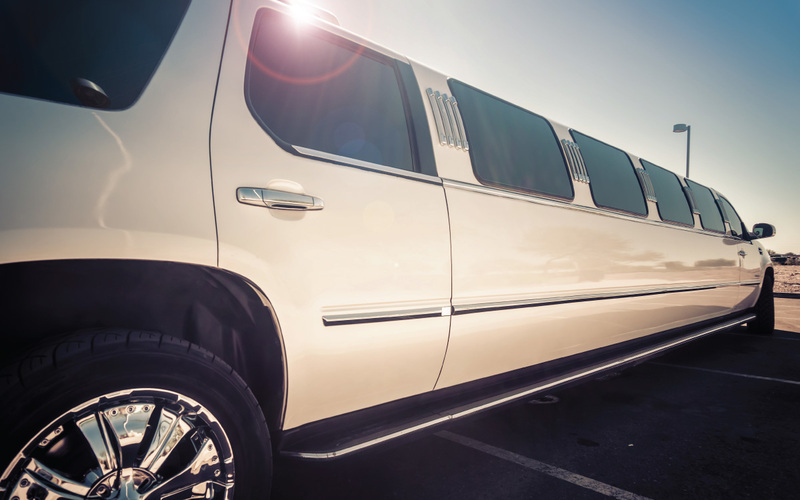 What Safety Laws Govern Limousines? Despite the risks of what one former NTSB chair characterized as a “Frankenstein system” of cutting up vehicles and putting them back together with a new set of parts and pieces, the laws regulating the safety of modified limos are haphazard. The National Highway Traffic Safety Administration sets safety standards for newly manufactured vehicles, but modified limos can skirt that oversight. At the state level, regulations vary significantly. California, for example, passed a limo retrofit law that went into effect on Jan. 1, 2018, in response to a stretch limousine fire that killed five women celebrating a bachelorette party. Under the new law, if a stretch limousine has a fifth door it must have either two pop-out window emergency exits or a rooftop escape hatch. If a stretch limousine does not have a fifth door, then it must have two pop-out window emergency exits and a rooftop escape hatch. In New York, for-hire vehicles that seat 10 or more passengers must be inspected twice per year by the state Department of Transportation. Who May Be Held Legally Liable for a Limousine Crash? When deadly limo accidents occur, there are a number of parties with potential legal liability, Feldman Shepherd attorney Alan Feldman said. Feldman’s legal practice focuses on crashworthiness claims, which are catastrophic personal injury cases in which the vehicle itself, because of its unsafe design or the absence of necessary safety features, fails to protect the occupants from injury. In the aftermath of this tragedy, which is the deadliest American transportation accident since 2009, the NTSB has indicated that it will examine federal oversight of the limousine industry as part of its crash investigation. The Personal Injury lawyers at Feldman Shepherd Wohlgelernter Tanner Weinstock & Dodig LLP specialize in crashworthiness cases where vehicle occupants are not adequately protected from catastrophic injuries due to a vehicle’s design defects.